Chain necklace for Blythe dolls. 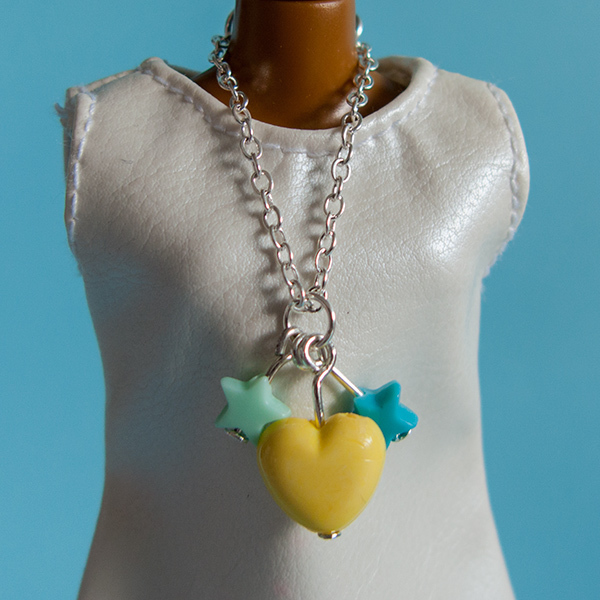 Silver colored chain with pendant consisting of three plastic beads in star and heart shapes. Yellow, mint and turquoise. The length can be seen on the photos, the dressform size corresponds to a Neo Blythe. 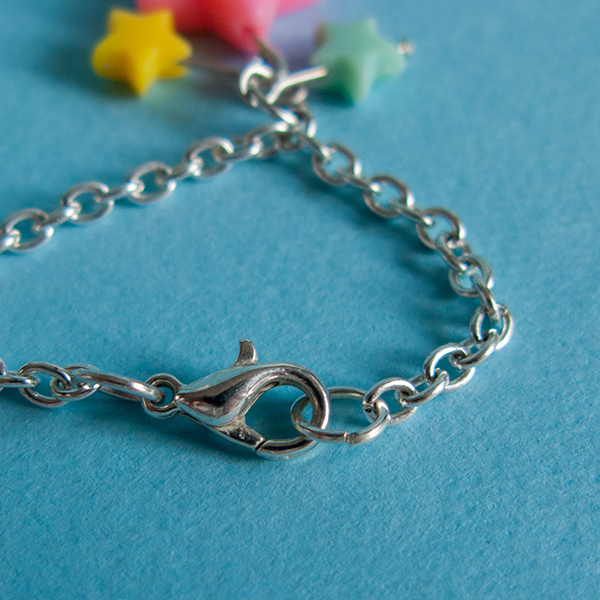 It can be worn by Middie Blythe and Emerald Witch dolls as well as other dolls of similar size. The locking mechanism is a lobster claw type lock. This is for the necklace only. Dress and dressform not included.